The name of Segeda is Celtic and would have a mean near to “powerful”. In Celtiberian epoch thanks to the legend of the coins is Secaiza. 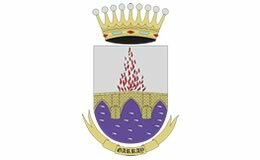 The quote from Strabo who attributes Segeda to the Arevaci, lead to locate this city from the Middle Age till the beginning of the 20th century, towards the zone of Duero River, initially in Canales de la Sierra (Rioja) or between Uxama (Osma) and Numantia. Schulten in his works on Numantia (1914) will locate Segeda in the High Jalon near to Ocilis (identified then with Medinaceli). Later, Sculten will identify Segeda with the archaeological ruins of Duron in the locality of Belmonte, where he carried out excavations (1933) and realized a topographical uplifting, highlighting the different visible stretches of the city wall, giving a surface of 15 hectares that was accepted by the research of the time. 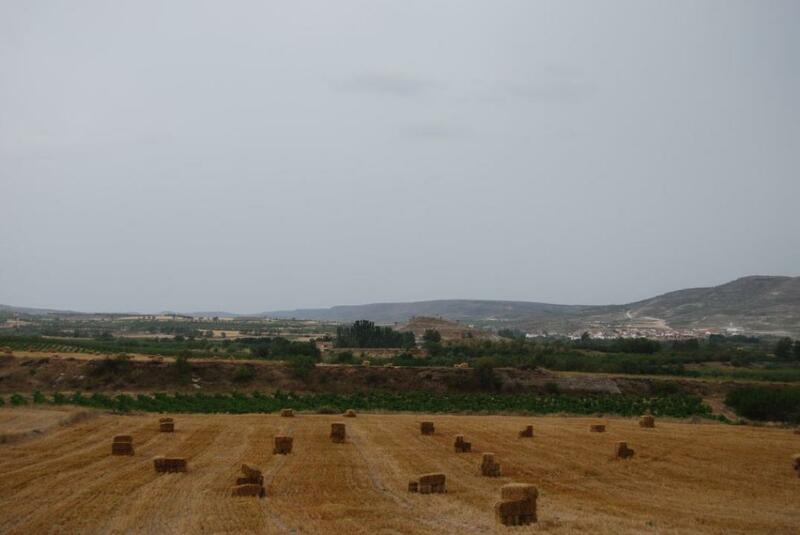 Nevertheless, in the 70s were looked through the characteristics of the city wall of Duron, resulting more modern than the Celtiberian one to which allude the classical texts that suggested several alternatives for its location: St Esteban del Poyo del Cid (Burillo, 1976), in the West of Ateca (Martin Bueno, 1977) or Valdeherrera, Calatayud (Dominguez, 1983). It will be not till 1984, when F.Burillo and M.Ostale, suggest locating the Segeda (I), of the classical texts, corresponding to the tribe of Belos, in the Poyo of mara and the existence of other Segeda (II), later, in the Duron of Belmonte. Once solved, partly, the problem for the location of the two cities, began to develop, from 1986, the project Segeda, that covers the two cities. 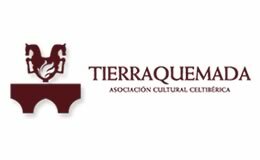 From 1986 till the present moment, this project has given explications to the several problems posed and highlighting several aspects of the research on the Celtiberian world, under the direction of Francisco Burillo of the University of Zaragoza. Works of research and excavation in several areas of Segeda I have been made, documenting significant aspects of the city that occupies an expanse of at least 16 hectares, as well as leaving to know a part of its town planning and discoveries of big interest that allow raising the study of the Celtiberian world with new approaches. From the road A-1504 that from Calatayud goes to Cariñena, once passed the town of Belmonte and a little bit before to arrive in Mara, take a road on the left till to link with the road to Orera (CV-818) taking it on the right and to about 50m there is an under-reaming on the right to leave the car and follow to walk till the Poyo or hill that is in front. 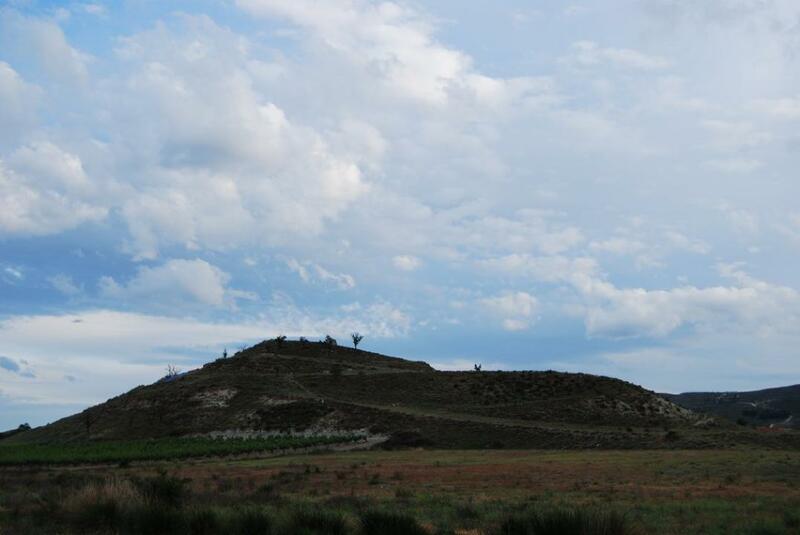 The Poyo de Mara is an oval hill that rises on the surrounding territory about 30m (720m on the sea level). Its morphological configuration and height turns it into a strategic reference of the entire valley. The distance from this place to it of the Duron, where it is located the other Segeda (II) is of 1km and are separated by promenade Orera. The city of Sekaiza settled down on the top of the Poyo de Mara and its hillsides that achieved in its base dimensions of 255m in direction North-East and South-West and of 210m in direction East-West, what that represent an expanse near to 5hectares. The archaeological ruins have been kept worse in the South and West slopes, due to the major erosion. The hill configures in vertical in three quadrangular platforms that would allow the access from one to another. The buildings were located in the hillsides of the hill with terraced shape. The terraces of big limestone stones are visible and are used to reinforce the terracings to place the housings and buildings. The city also stretched later in the flat zone achieving an expanse of about 17hectares. The importance of this city remains ratified after the treaty of Gracus (179 BC. ), since Rome gave it the privilege to be the first Celtiberian city to mint silver coins that would allow it to establish its hierarchical control in a wide territory. It issued “denarius” (silver coin) destined to pay taxes to Rome, and ases (bronze coin) and several divisors, probably for the necessity of the city government to realize some payments for public works and to collect taxes. According to the classical texts the construction of a city wall for the extension of the city, in the year 153 BC will be the pretext through which Rome began the Second Celtiberian War, complaining the attitude of the city assumed to break the treaty of Gracus which obliged Rome to change the calendar and to send against it a consular army of 30,000 men at the head of Nobilior. In 2000 was excavated the area 2 located in the North-Eastern corner of the second platform of the Poyo, discovering ruins of some houses settled down in one of the artificial terraces fitted out to this effect. The discovered zone corresponds to a clay and stone platform and two buildings separated by a common wall. Of the excavated set the unique that offers the interpretative possibilities is the known Casa del Lagar. The terrace in which is settled down, is excavated in the natural land keeping its inner wall that at the same time holds the superior terrace. This inner wall, realized with limestone stones of big sizes has a height (2,60m of height) that it is used as reference to know what was the height excavated to build its houses, showing, as well, the existence of two floors. It is not kept the exterior wall since its pull down has been brought about the slope of the terrace. Its width and the one of the house are marked by the inner and outward limit of the terrace that is of 8m. The rooms discovered are 6, separated by load-bearing walls of mud wall and adobe with the presence of three thresholds for the inner communication. At the same time, the rooms 1,5 and 6 has opened doors toward the South, but it is not possible to determine if these would open to a corridor or to a room from which they acceded to them, since that zone is not excavated, unknowing the complete expense of the housing. The bigger room (R5) measures 20m² and has the walls plastered of clay, whitewashed and with a part of inferior black paint performing a socle that has to frame the doors as it is possible to see in the door that communicates with the space 4. In the South-Eastern corner they have discovered a plaster structure of two metres of length and one of width that it is interpreted as a winepress, as it is ratified by the analysis realized that have identified the presence of tartrates (characteristic salt of wine residues). This house is separated by a load-bearing wall from the sector or building 2 in process of excavation in which have appeared two peaces of an instrument of goldsmith used for the manufacture of metallic objects. Preventive excavations, realized in 2003 and 2004, uncovered two housings with load-bearing wall and accesses from the Northern zone through a courtyard or opened yard outdoors. The housings have a unique floor and seem to be isolated inside of the plot, even if the existence or relation with more houses is waiting the following campaign of excavation. They are realized with walls of basis of stone (limestone, quartzite or of plaster) and reinforcement of adobe and mud wall; the floors are of steamrolled clay, lowered in the earth to achieve horizontality. The inner division of the houses is totally different among them, but the little excavated surface arises problems of interpretation. In the house of rectangular plan (S-1) even if only two walls have been built there are supports of post that show a major division of the space. It is necessary to stand out in the central room (E-2) the existence of two fireplaces, one limited with adobe, opened in shape of horseshoe, of bakery type, with parallels in the Mediterranean zone and North of Africa. Other is of clay sheet. 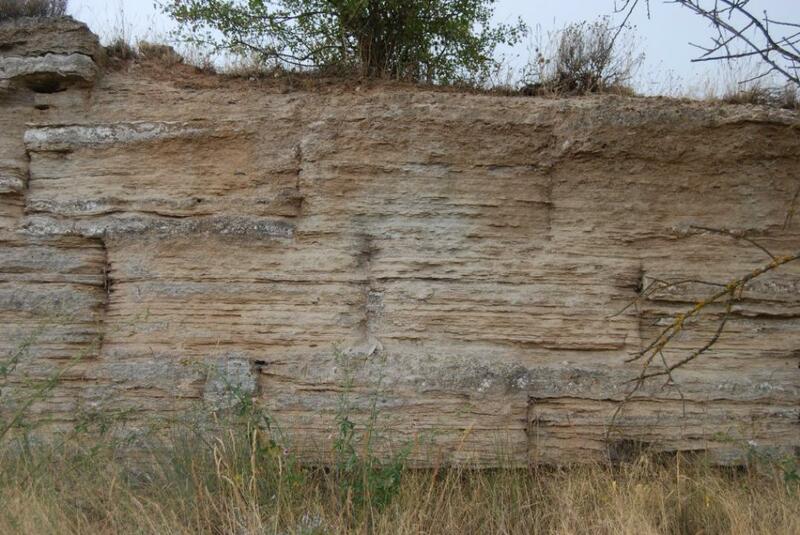 At the East of Poyo, to about 40m of the hill side next to the promenade of Orera was excavated in 2001 a surface of about 201m², discovering part of a block of houses, under a powerful sedimentary layer (between 1,60 and 2,40m). They found a total of 11 spaces, delimited only partially (5 of them were excavated in their majority). 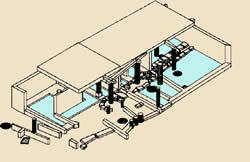 Houses of a unique floor would be, that is big rooms without inner division (a surface around 40m²) with load-bearing walls realized with basis of stone and reinforcement of mud wall. The floors are inlayed in the natural mantle. The presence of three homes allowed identifying other many domestic units (E2, E4 and E7). One of these housings (E2) has associated a rectangular space (E3) in which was found a furnace of iron smelting and in another surrounding space (E1) was found a cistern. 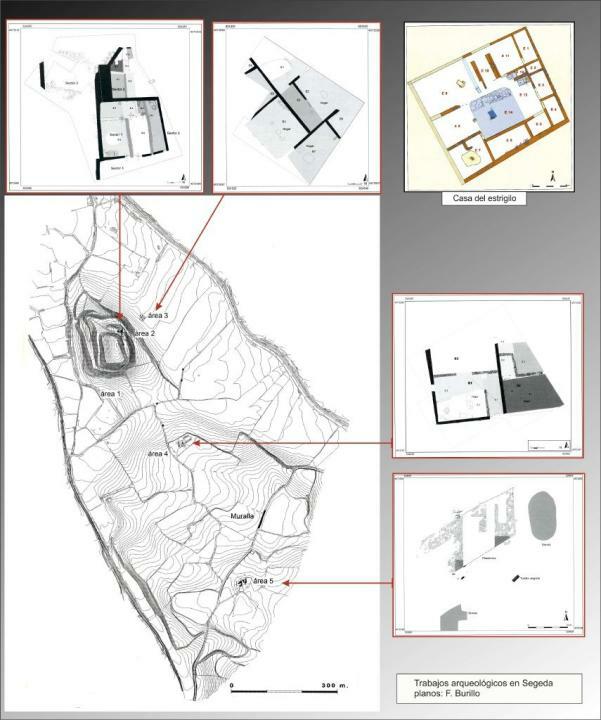 Even if the available information is still scarce, the situation of the housings, their organization and the constructive design would show a fast extension of the principle nucleus that it is located around the Poyo which would cover an extension of about 8 or 7 hectares till the promenade of Orera. 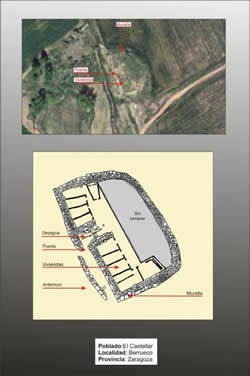 In these buildings there is the confirmation of the archaeological testimony of the Synoecism that relate the classical texts (Appian and Diodorus) that indicate as the Segedenses are assembling “of rank or through the strength” to the population of their environment corresponding to the tribe of Titos. 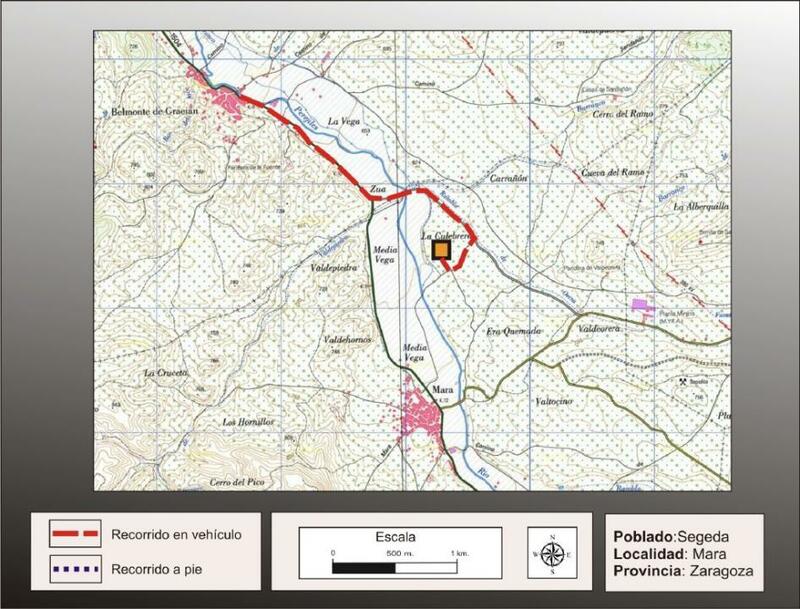 An action of urgency, as consequence of the building of water pipes discovered in the local road of Viver (in the South of the Poyo), 9m of wall with 4,10m of width and an inner construction and other outward of big limestone stones of which they keep two rows (1m of height) and the inner space filled of irregular stones. The characteristics of the city wall would indicate that was in phase of building since it was related to the extension of the new defence that began to build the people of Segedenses in 154 BC, action denounced by Romans because it was a violation to the treaty that the Indigenous cities of the Ebro valley had signed with Gracchus (179 BC), reason that triggered the second Celtiberian war (153-133 BC) headed by Numantia that received the Segedenses “as allies and friends”. It is unknown the continuity of the design but how it is assumed that it had to include the neighbourhood of the Titos, would flow near to the promenade of Orera closing an extension of about 17 hectares lowerer according to the information, enough forced, given by Appian who talks about 40 stadions (at 185m per stadion, are about 7,4km that represents an extension of 300 hectares). 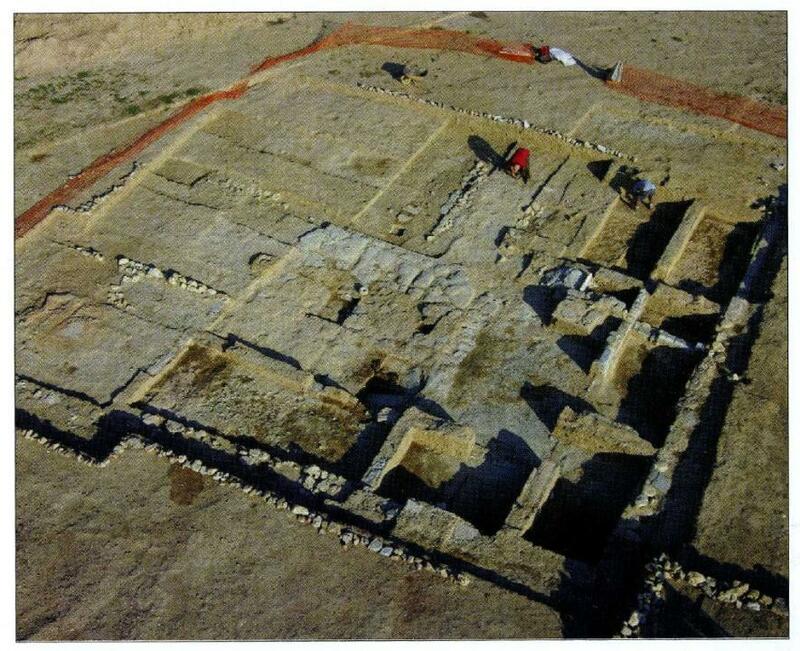 A big mansion of 283m² was discovered in 2006 but some excavations of it are also in progress. The house was named House of the Estrigilio thanks to the discovery of this instrument in one of the rooms. The walls of about 50m of width are in bad condition because of the agricultural works but it was possible to determine that they were built with skirting board of limestone stone, quartzite and reinforcements of adobe and mud wall. The walls appear rendered, well with clay and lime or plaster. It was possible to detect that this house had remodelings before its destruction in 153 BC since the forge found in one of the spaces (E12) could remained useless to be used as basis and support of wooden stairs to build a second floor. The house is organized around a big central courtyard of 35m² of expense, paved with big slabs of plaster. In this courtyard meet 11 rooms with floors that are appropriate to the use: of clay for places of warehousings, kitchen or activities of transformation; of mortar of plaster in bedrooms and annexed spaces. The paving of the central courtyard was lightly sloping to lead rain water coming from the roofs to a small chest of rectangular plan (1,15 X 0,86 X 0,14m), cut in the slabs of plaster and located in the centre but not stable. There is an allocation of more than 9m of length, built with cut slobs of plaster (0,43m of width and 0,14m of height) that crosses the courtyard under the pavement and it had to pour to a cistern yet not located and covered. To avoid the intrusion of impurities, at least those of big size that could block the channel, was arranged in the small chest, in the start of the channel a lead perforated sheet as grating. The room used as kitchen (E7) has a surface of 24m² that can be identified well thanks to the enormous plate of chimney of 4m² located in the centre. This big kitchen shows the volume of food demand and therefore a number of occupants a lot above the conventional domestic space in that time. The estrigilo that gives the name to the house was found in a rectangular room (E3) that occupies the central space in the Western side and to which you can accede from the courtyard. This metallic piece is made up of a narrow curved blade-palette knife of bronze and section in shape of canal, joint to an iron handle, perforated lengthwise for the thread of a hoop that would permit to transport or hang it when they did not use it. This instrument was used personally in the Greek and Roman world to apply themselves corporal oils, ointments and take off the sweat and the dirtiness, as for men as women. All that united to the characteristics of the house shows on the one hand how the Segedense society was changing and adopting Mediterranean habits and, on the other hand, became more pronounced a big social hierarchization of which it is a good example the owner and his family that occupied a big mansion that knew the Greek culture and washed as them. 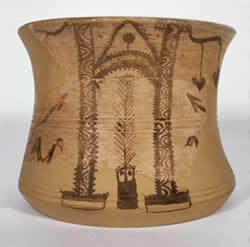 These changes coincided with the beginning of wine production, in mentioned winepress and the presence of wine imported in Greek-Italic amphoras that it was drunk in glasses of black varnish (Campana ceramic) represented in housings, imitated by the local potters. This possible sanctuary is located in a little hillock at a distance of 800m in the South of the Poyo, in the outskirts of the city, near to its city wall. It is a big isolated structure, closed by two walls with a kept length of 10 and 16,6m and two rows of height (not used in the architecture of this epoch). The inner space is a platform of big slabs of plaster and limestone joint with clay. The walls and the paving were levelled and covered, in turn, by a layer of adobe and clay. The agricultural activities have destroyed part of this building, in particular in the Northern and South-Western extremes. After several previous proposals about the possible functionalities of this structure, recently they have set out that it is a “sanctuary”. They carried out astronomical calculations and paying attention to the use of the angle of 120°, in the cornerstone (not used in the architecture of this epoch) that means the use of the sexagesimal system that put it in relation with cultural references of the Mediterranean Sea in the past. At the same time the basis of this trapezium would coincide with the astronomical North, while the major side of the platform would be oriented towards the Major stop of the Moon that is when the moon is more distant, higher in the firmament. According to these information it would be a Celtiberian sanctuary that was built bearing in mind the different astronomical orientations since the Celtiberian people would have built it lining up it with the summer solstice, the equinoxes, the astronomical North and the Major Stop of the Moon that marks a cycle of 19 years (cycle of Menton). It has not been determined the date of founding of Secaiza, even if we know that the first issues of coins date among 179-170 and 154. But we know that this city disappeared totally in the middle of the 2nd century BC., coinciding with the attack of the Romans at the head of Nobilior in 153 BC., when the Segedenses who had not ended the city wall that they were building, abandoned the city and move to Numantia in search of help where they are accepted as allies and friends, as Appian says. 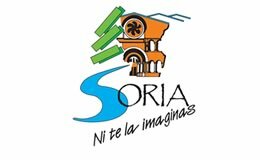 After the destruction of Segeda I by the consul Nobilior in 153 BC it was built a new city under the sponsorship of Rome, at a kilometre of the previous, in the place of Duron, inside the district of Belmonte de Gracián. It is possible to leave the car in the same place to see Segeda and following the path parallel to the course of the river Perejiles arrive at the site of Duron (Segeda II). 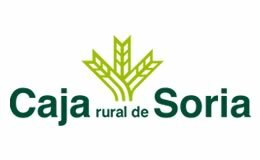 In the place of the Duron belonging to Belmonte de Gracián there is a city in the plain, located in a wide plain closed in the South by the promenade of Sandañon, subsidiary of Perejiles River and in the west by its own river. In the 17th century, already Labaña mentioned its city wall. 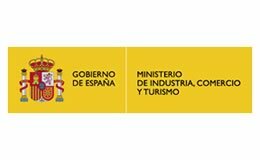 In 1867 the Count of Samitier excavates and a report of his works is sent by the Comision de Monumentos Historico Artisticos of Zaragoza to the Royal Accademy of History, where they talk about several structures and archaeological material. The Count will start again to excavate a Roman house in 1932. Adolf Schulten, believing that it was the SEgeda of the classical texts realized excavations and picked up a plan with the different visible stretches of the city wall, calculating an inner space of about 15 hectares. In the end of the 40s, of the past century it was discovered a mosaic of “opus signinum” that was moved to the Provincial Museum of Zaragoza. It is possible that Segeda, minting coins, sorted out the cities near to the Jalon that issued only bronze coins, Bilbilis and Nertobis. 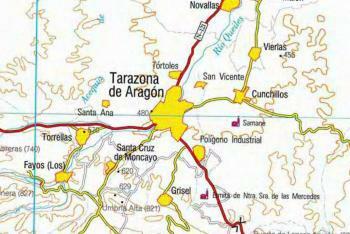 On the other hand, it is curious the case of the mint of Tamusia that for its money issues it is considered dependent on Segedia and it was searched during a lot of time in the Jalon zone, when its place of localization is in Extremadura (Caceres), there money in a notable proportion appeared, interpreted as movement of the Segedenses to this distant territory. They were not commercial exchanges, since the coins are of bronze, but destined to cover the more ordinary expenses. The town planning and the constructive characteristics of this city are clearly Roman. It has a quadrangular shape with planks of 450 and 650m, what that supposes an expanse of about 16 hectares, being its town planning of straight streets, crossed in network, wide houses with mosaics and walls with stucco. Of the old excavations we could see anything and even some of the excavated sites they don’t know where they are. Nevertheless the sightseeing can give the characteristics of the settlement, as well as the aspects of the defensive system: the walls and the moat. It is possible to appreciate an imposing city wall with big plaster ashlars set out as rope that, according to A. Schulten, achieved a total width of 4m, of which 1,5m would be of filler. It has been demonstrated that it is a Roman work through the establishment of the units of ashlars. The defensive system was completed with a wide moat of 45m of width that it is largely plugged up. This city as others of this type set up in the plain were built after the destruction of Numantia that carried out the second Celtiberian war, for this reason its validity was established from the end of the 2nd century till the Sertorian Wars (80-72 BC), since the Indigenous population of the Ebro valley, took sides in these Roman civil wars on Sertorius side who was the loser. Burillo, F. (2005): Segeda. La ciudad celtiberica que cambio el calendario. Fundacion Segeda, Zaragoza. 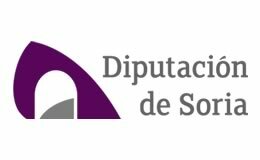 Burillo, F. (2007): Segeda y su contexto historico. Entre Caton y Nobilior (195 al 153 a.C.). Centro de Estudios Celtiberico, 2, Zaragoza. With the Poyo de Mrara (Segeda I) it has been fitted out an enclosure of 5,000m2 to dedicate them to the reconstruction of some buildings that have been excavated and stay plugged up, following the same constructive techniques documented in the excavations. From 2005 were realized interventions of Experimental Archaeology standing out the making of adobe for the reconstruction that has been made of the house of winepress, reproducing the two floors corresponding to the housing. 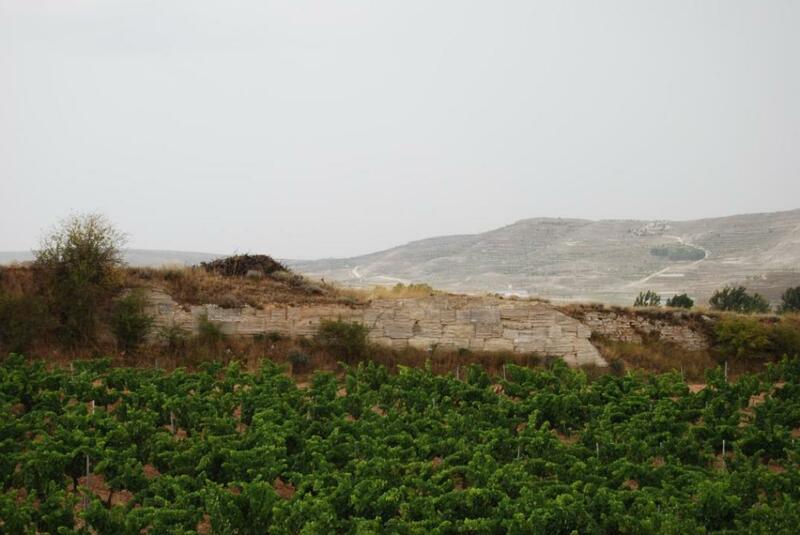 The objective is can produce wine as the Celtiberians made it. Next to the winepress house they are building a housing that reproduces, at the same time, one of the houses belonging to the titos. These reconstructions will allow realizing didactic workshops for boys, during the summer about the daily life of the Celtiberians.